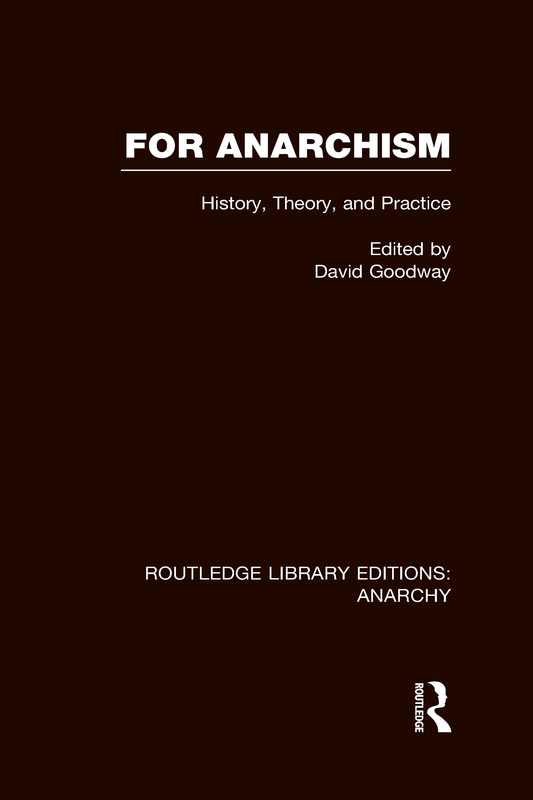 This collection discusses both the history and theory of anarchism and in particular examines italian anarchism, the relationship between Marxism and anarchism, the influence of Kropotkin, new social movements and the anarchist theory of history. List of maps, figures. Introduction Part 1: History 1. Italian Anarchism, 1870-1926 2. The Practice of Direct Action: The Barcelona Rent Strike of 1931 Part 2: Theory 3. Marxism and Anarchism 4. Human Nature and Anarchism 5. The Role of Contract in Anarchist Ideology 6. Outline of an Anarchist Theory of History Part 3: Practice 7. Indian Anarchism: The Curious Case of Vinoba Bhave, Anarchist ‘Saint of the Government’ 8. Kropotkin and Technical Education: An Anarchist Voice 9. Co-operatives and Anarchism: A Contemporary Perspective 10. New Social Movements: the Anarchic Dimension. Index.